A major drug developer is switching gears from Hepatitis C to Cystic Fibrosis, as Vertex’s new Proof-of-Concept Study Finds VX-661 And Kalydeco (ivacaftor) CF Drug Combination Improves Lung Function in Some Patients. For those in the cystic fibrosis patient population who follow research news for hints of the next major pharmaceutical development, freshly-released data on an experimental therapy may offer new hope in treating the disease. Cambridge, Massachusetts based Vertex Pharmaceuticals Incorporated (Nasdaq: VRTX) announced Thursday that new research finds treatment with the small molecule cystic fibrosis transmembrane conductance regulator (CFTR) corrector drug VX-661 currently in development, in combination with Vertex’s Kalydeco (ivacaftor) Cystic Fibrosis (CF) drug, has shown statistically significant improvements in lung function (FEV1) of CF patients who have both the F508del mutation and G551D mutation, and who were already taking Kalydeco. In a 28-day Phase 2 study, the addition of VX-661 also resulted in decreases in sweat chloride through the treatment period. Treatment with a combination of Kalydeco and VX-661 for 28 days resulted in a mean within-group absolute improvement in lung function of 4.6 percentage points (p=0.012), a mean within-group relative improvement in lung function of 7.3% (p=0.012) and a mean reduction in sweat chloride of -7.02 mmol/L (p=0.053) through the end of treatment. After the 28-day treatment period ended, lung function and sweat chloride levels in the study subjects returned toward baseline. The researchers found that VX-661 was generally well-tolerated when dosed in combination with Kalydeco, and all 18 patients completed the 28-day treatment period. Patients in this randomized, double-blind study were required to have received Kalydeco for at least four weeks prior to entering the study. Patients in the study were ages 12 and older and had received Kalydeco for an average of approximately one year. Patients received VX-661, or placebo, in combination with their ongoing Kalydeco treatment for four weeks. To measure both the on-treatment and off-treatment effect of VX-661 in combination with Kalydeco, observations were made at baseline (Day 0), every week during the treatment period (Day 0 – 28) and at multiple timepoints in the four-week period after the completion of treatment (Day 28 – 56). Eighteen patients enrolled in the study, and 14 of these patients received VX-661 (100 mg once daily) in addition to their ongoing treatment with Kalydeco (150 mg q12h). The remaining four patients received placebo and Kalydeco to ensure the study was blinded. The primary objectives of the study were safety, tolerability and change in sweat chloride. Change in lung function (percent predicted forced expiratory volume in one second; PPFEV1) was measured as a secondary endpoint. In the study, VX-661 was generally well-tolerated when dosed in combination with Kalydeco, and all 18 patients completed the study. The most common adverse events in the treatment group were cough, pulmonary exacerbation, headache and upper respiratory tract infection. One serious adverse event of arthritis occurred in the VX-661 treatment arm and was deemed unrelated to VX-661 or Kalydeco. The baseline lung function and sweat chloride levels for patients who were randomized to receive VX-661 and Kalydeco were 59.1 percent predicted FEV1 and 52.9 mmol/L, respectively. 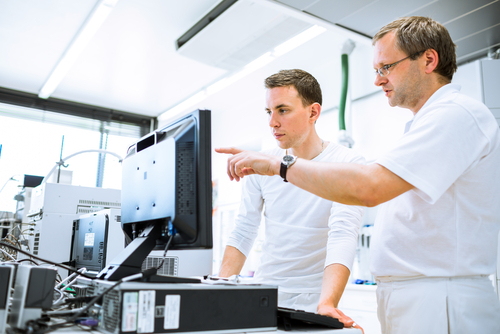 Vertex notes that the results reported Thursday were from the first proof-of-concept clinical study of a combination of a CFTR corrector (VX-661) and Kalydeco (kuh-LYE-deh-koh) in people with CF heterozygous for the F508del mutation and a mutation, such as G551D, who were already known to be responsive to Kalydeco. Kalydeco — developed under the name VX-770 and also known by its generic name, ivacaftor — targets the most common CFTR mutation found in CF patients. In the United States only, ivacaftor is also indicated for the treatment of CF in patients age 6 and older who have one of the following mutations in the CFTR gene: G1244E, G1349D, G178R, G551S, S1251N, S1255P, S549N or S549R. VX-661 is designed to correct a different mutation that affects protein two copies of the F508del mutation (F508del/F508del) in the CFTR gene. The safety and efficacy of Kalydeco in children with CF younger than 6 years of age have not been established. The study was conducted following in vitro observations that show addition of VX-661 to Kalydeco further enhanced CFTR function in human bronchial epithelial (HBE) cells heterozygous for the F508del and G551D mutations. 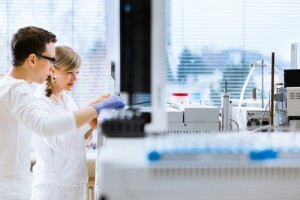 The company says the clinical results announced May 1 demonstrate potential for a combination of VX-661 and Kalydeco to further enhance the benefit of treatment with Kalydeco alone in people with the F508del mutation and a mutation known to respond to Kalydeco. If approved for marketing, VX-661 would be the second drug from Vertex that works by targeting the underlying genetic cause of cystic fibrosis. In people with the G551D mutation of CF ages 6 and older, Kalydeco helps improve lung function and lower sweat chloride levels and helps patients gain weight — all key indicators that the drug is working. In people with this mutation, the defective protein moves to the right place at the surface of the cell but does not function correctly. Instead, it acts like a locked gate, preventing the proper flow of salt and fluids in and out of the cell. Kalydeco helps unlock that gate and restore the CFTR protein’s function. This allows for a proper flow of salt and fluids on the surface of the lungs. This helps to thin the thick, sticky mucus caused by CF that builds up in the lungs. Kalydeco was developed by Vertex Pharmaceuticals Inc. with significant scientific, clinical and financial support including a $75 million investment from the Bethesda, Md. based Cystic Fibrosis Foundation, a nonprofit donor-supported organization dedicated to attacking cystic fibrosis from every angle. 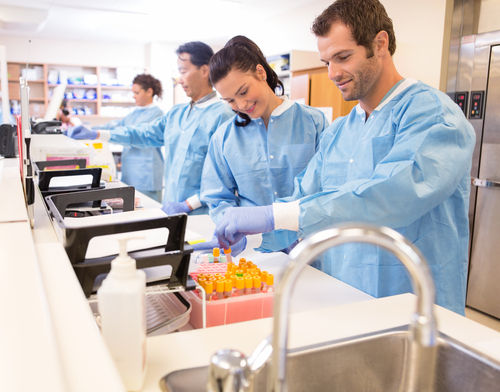 The CF Foundation’s focus is to support development of new drugs to fight the disease, improve the quality of life for those with CF, and ultimately to find a cure. It is the world’s leader in the search for a cure for cystic fibrosis, and funds more CF research than any other organization. The Foundation notes that nearly every CF drug available today was made possible because of Foundation support, and its drug development success has been recognized by Harvard Business School and by publications such as Forbes, Discover magazine, and The Wall Street Journal. The Foundation also funds and accredits a national care center network that has been recognized by the National Institutes of Health as a model of care for a chronic disease. Vertex, which has research and development sites and commercial offices around the world in the United States, Canada, Europe and Australia, retains worldwide rights to develop and commercialize Kalydeco (ivacaftor), which is the first medicine approved to treat the underlying cause of CF in people with specific mutations in the CFTR gene. The Cystic Fibrosis Foundation considers Kalydeco a breakthrough in CF treatment because it is the first drug to address the underlying cause of cystic fibrosis. All other therapies available address the symptoms of the disease, not the underlying cause. Known as a CFTR potentiator, Kalydeco is an orally-administered medication that aims to help the CFTR protein function more normally once it reaches the cell surface, to help hydrate and clear mucus from the airways. Kalydeco (150mg, q12h) was first approved by the U.S. Food and Drug Administration in January 2012 for use in people with CF ages 6 and older who have at least one copy of the G551D mutation and in February 2014 for use in people with CF ages 6 and older who have the following additional CFTR mutations: G178R, S549N, S549R, G551S, G1244E, S1251N, S1255P and G1349D. Kalydeco is the first drug available that targets the underlying cause of CF — a faulty gene and its protein product, CFTR. Kalydeco was approved by the European Medicines Agency in July 2012, by Health Canada in November 2012 and by the Therapeutic Goods Administration in Australia in July 2013 for use in people with CF ages 6 and older who have at least one copy of the G551D mutation in the CFTR gene. Vertex says additional studies of longer duration and with additional patients will be required to further validate the proof of concept results reported Thursday. Company researchers recently began dosing in a 12-week Phase 2 study of VX-661 in combination with ivacaftor in people with CF who have two copies of the F508del mutation. The study is designed to evaluate safety, efficacy and pharmacokinetics to characterize VX-661 for further clinical development. Based on the data announced May 1, and pending data from the ongoing 12-week study in patients homozygous for the F508del mutation, Vertex plans to discuss with global regulatory authorities the potential approval pathway for VX-661 in combination with Kalydeco for people with CF. Kalydeco is currently available to all eligible patients in the United States, England, Scotland, Northern Ireland, Wales, the Republic of Ireland, France, Germany, the Netherlands, Austria, Denmark, Sweden, Norway, Greece and Italy. Kalydeco is also approved in Australia and Canada, and Vertex is in active discussions with relevant agencies in these countries to expand access to Kalydeco for eligible patients through public reimbursement. There are approximately 300 people age 6 years and older who have the G551D mutation in Australia and Canada. In February, the U.S. Food and Drug Administration (FDA) approved a supplemental New Drug Application (sNDA) for Kalydeco (ivacaftor) for people with cystic fibrosis (CF) ages 6 and older who have one of eight additional mutations in the cystic fibrosis transmembrane conductance regulator (CFTR) gene. With the approval of the sNDA, Kalydeco is now approved for use in people with CF with the following nine mutations: G551D, G178R, S549N, S549R, G551S, G1244E, S1251N, S1255P and G1349D. In the United States, approximately 150 people ages 6 and older have one of the additional eight mutations for which Kalydeco is now approved. Vertex also announced May 1 that the U.S. FDA has granted VX-661 Orphan Drug Designation. The FDA grants Orphan Drug Designation to medicines intended to treat fewer than 200,000 people in the U.S.
News of the positive synergy achieved with use of VX-661 in combinations with Kalydeco in the proof of concept study was well-received by investors, who pushed Vertex’s share prices, which have been under pressure recently, up $5.30 to $74.25 (eight percent) in after hours trading on Thursday. 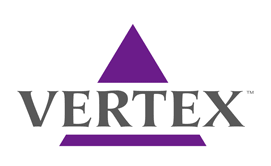 On May 1 Vertex Pharmaceuticals also released its financial results for the quarter ending March 31, 2014, reporting total first quarter 2014 revenues of $118.5 million, including revenues of $99.5 million from Kalydeco, representing a whopping 64 percent decline compared with $328.4 million in total revenues — a $232 million loss year-over-year, for the first quarter of 2013 — a metric also falling short of a forecast average analyst estimate of $107 million according to Wells Fargo Securities. The company’s first quarter 2014 revenues were comprised primarily of $99.5 million in Kalydeco net revenues — an encouraging 61 percent greater than the $61.8 million Kalydeco brought in during the first quarter of 2013. The company’s GAAP net loss for the first quarter of 2014 was $(232) million, or $(1.00) per share, including net charges of $81 million. Non-GAAP net loss for the first quarter of 2014 was $(151) million, or $(0.65) per share. As of March 31, 2014, Vertex had $1.32 billion in cash, cash equivalents and marketable securities compared to $1.47 billion in cash, cash equivalents and marketable securities as of December 31, 2013. Vertex also provided updated financial guidance for 2014 non-GAAP revenues and non-GAAP operating expenses and maintained its guidance for 2014 Kalydeco revenues as provided on January 29, 2014. The company’s updated guidance reflects removal of revenues and costs following Vertex’s decision to end further investment in hepatitis C research and development activities, and selling off its non-North America royalty rights to the hepatitis C drug Incivek, which leaves that market dominated by Gilead Sciences Inc’s Sovaldi. Vertex reports that it has amended the terms of its agreement with Alios BioPharma regarding the development and commercialization of the nucleotide analogue hepatitis C virus (HCV) polymerase inhibitor VX-135. Based on the revised agreement and the rapid changes in the hepatitis C treatment landscape following the introduction of new oral therapies, Vertex plans to out-license VX-135 and to end further investment into research and development efforts in hepatitis C. The company’s first quarter 2014 non-GAAP financial results reflect the removal of hepatitis C costs and revenues, and primarily exclude stock-based compensation expense and transition costs related to the relocation of Vertex’s corporate headquarters. For more background on Gilead, Sovaldi, and Hepatitis C research click here. Vertex’s first quarter 2014 net product revenues from Kalydeco were $99.5 million compared to $61.8 million for the first quarter of 2013. The increased revenues, compared to the first quarter of 2013, resulted primarily from increased revenues from Kalydeco in eligible patients in Europe, in addition to those previously being treated in the U.S. In 2014, further growth and achievement of the company’s total 2014 net product revenue guidance for Kalydeco is dependent on completion of reimbursement discussions in Australia and Canada for eligible patients with the G551D mutation and on the potential further expansion of the Kalydeco label globally. Cystic Fibrosis (CF) is a devastating genetic disease most common in individuals of European descent, and the most common fatal genetic disease affecting North American children and young adults. CF affects approximately 75,000 people in North America, Europe and Australia, about 50,000 of whom are in the U.S. Currently, the median predicted age of survival for a person with CF is between 34 and 47 years, although the median age of death remains in the mid-20s. There is currently no cure. CF is caused by a defective or missing transmembrane conductane regulator (CFTR) proteins resulting from mutations in the CFTR gene. Children must inherit two defective CFTR genes — one from each parent — to develop CF. There are more than 1,900 known mutations in the CFTR gene. Some of these mutations, which can be determined by a genetic, or genotyping test, lead to CF by creating non-working or too few CFTR proteins at the cell surface. The defective function or absence of CFTR proteins in people with CF results in poor flow of salt and water into and out of the cell in a number of organs, including the lungs. This leads to the buildup of abnormally thick, sticky mucus that can cause chronic lung infections and progressive lung damage. However, CF mainly affects the digestive system and lungs. The degree of disease involvement varies from person to person, but the persistence and ongoing infection in the lungs, with consequent destruction of tissues and loss of lung function, eventually causes death in most people who have cystic fibrosis. Typical complications caused by cystic fibrosis include difficulty digesting fats and proteins; vitamin deficiencies due to loss of pancreatic enzymes; and progressive loss of lung function.